What are the feedstocks for biobutanol? Biobutanol can be prepared from any number of biomass feedstocks. It is easier to produce biobutanol directly from a souce of sugar. However, a number of active programs exist which will enable biobutanol production from crop wastes to energy grass. If you have specific questions, please send me details. 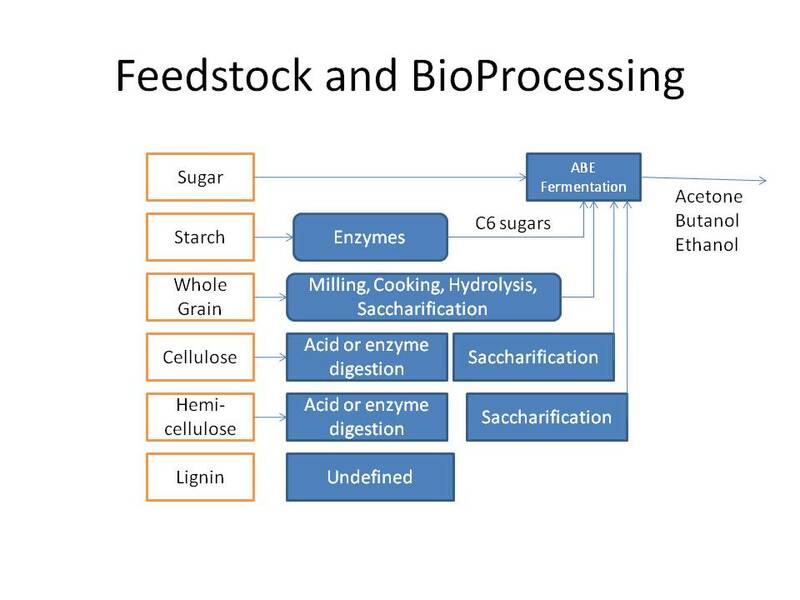 Do feedstocks for biobutanol compete with food? Biobutanol can be produced from feedstocks which do not compete with food. For example, efforts are on the way to covert algae biomass and waste wood particles to biobutanol. See table below for several feedstocks which do not compete for food. Several of these require only a 10th or 20th land resource of corn. In January 2011, U. of Alabama-Huntsville report using Clostidium pasteurianum bacteria to ferment glycerol waste from biodiesel to produce n-butanol. Additionally, a number of companies are focused on converting waste biomass from spoiled foods or from food processing plants to produce n-butanol. A pilot plant currently takes sewage waste and converts it to biobutanol at a New York waste water treatment facility. There are two primary routes: fermentation and thermochemical conversion. 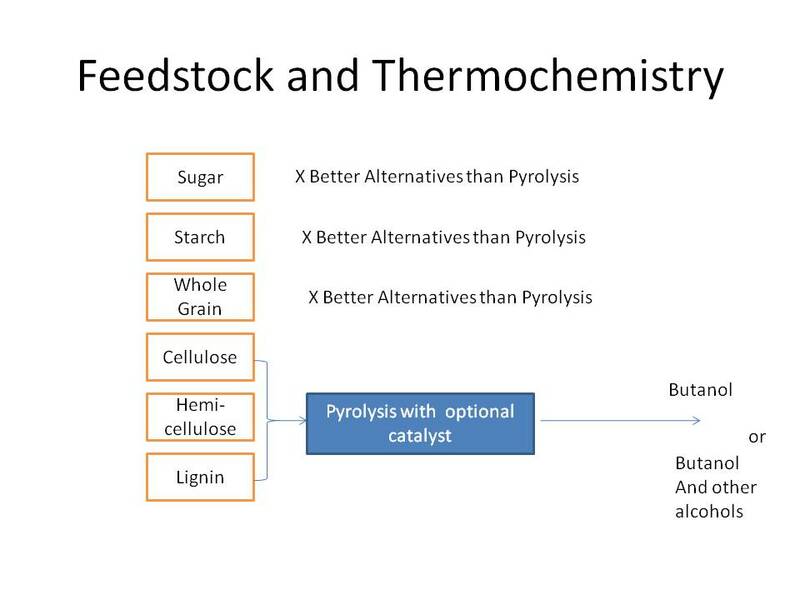 As one can see, pyrolysis is a very forgiving process as no separation or digestion step is needed. However, pyrolysis can have significant yield penalties.